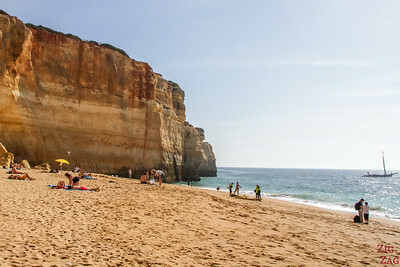 Visiting Portugal? 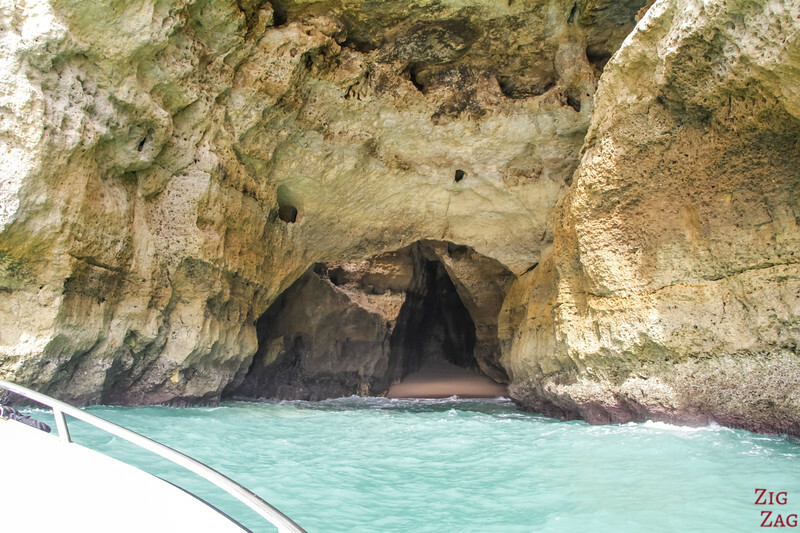 I think a Boat Trip to the Algarve Caves including the amazing Benagil Sea Cave is a Must-Do. 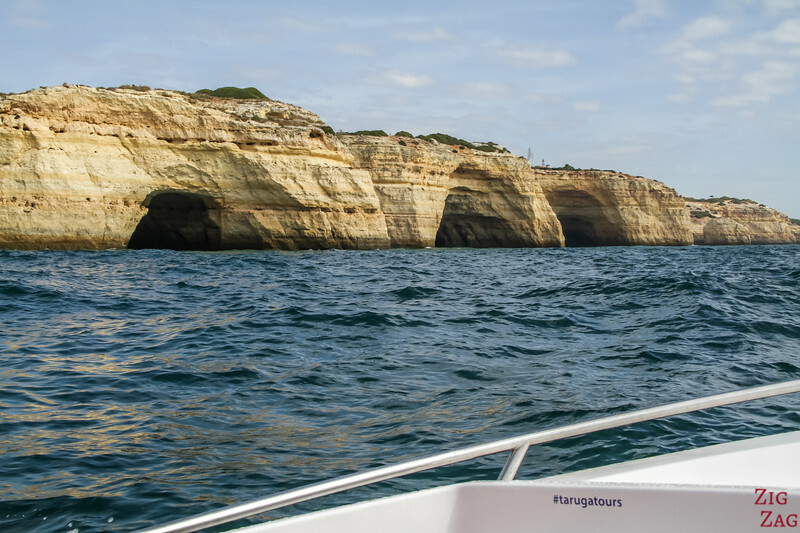 This is the best way to really discover the intricate South coastline of Portugal. 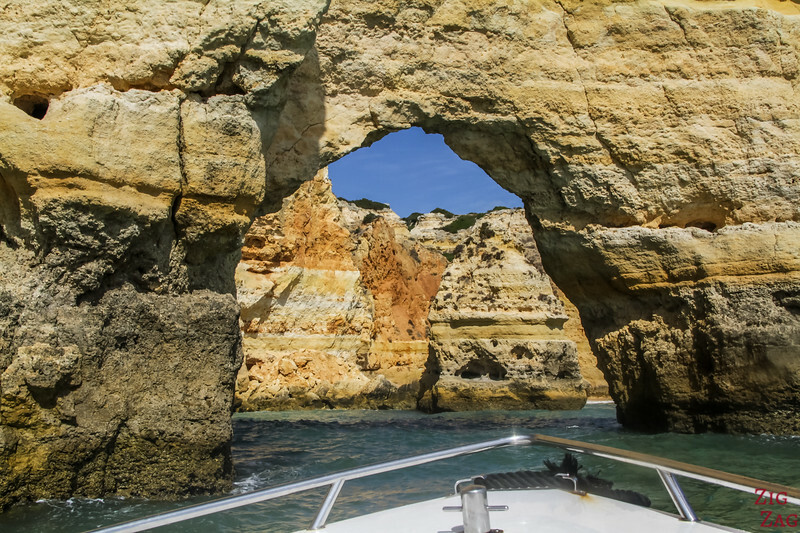 Discover in photos and video what you could see during the Boat Trips Algarve. 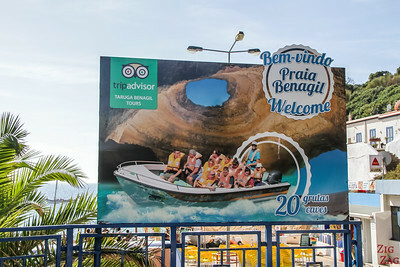 I wanted to see the Benagil sea caves and reduce the amount of time on the water (because my dad and I can be seasick), so I opted for one of the tour companies departing from Benagil Beach (see review at the end). 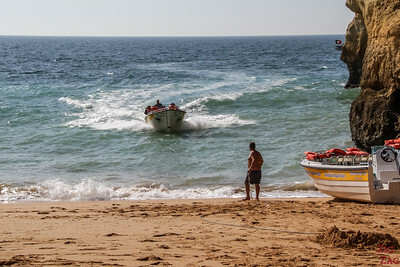 The photo below has been taken from the Benagil Beach at mid-tide. 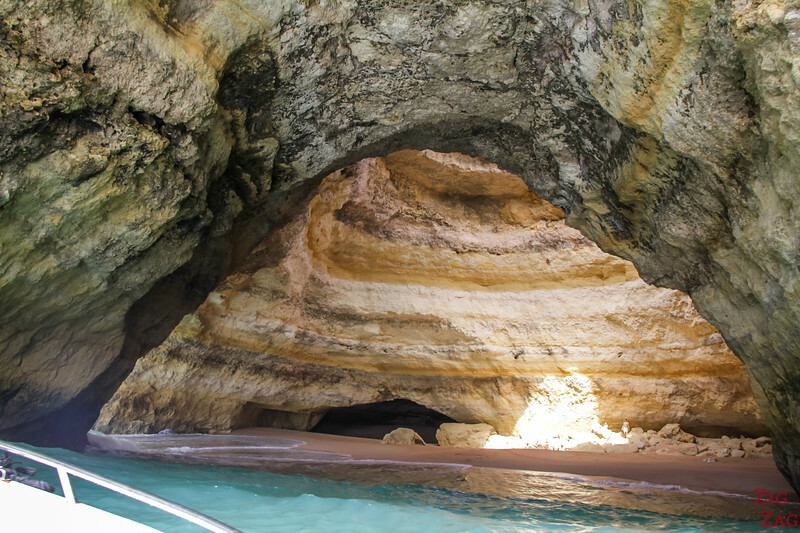 Where the boat is is the left entrance to the Benagil sea cave, one of the most famous places in Portugal. 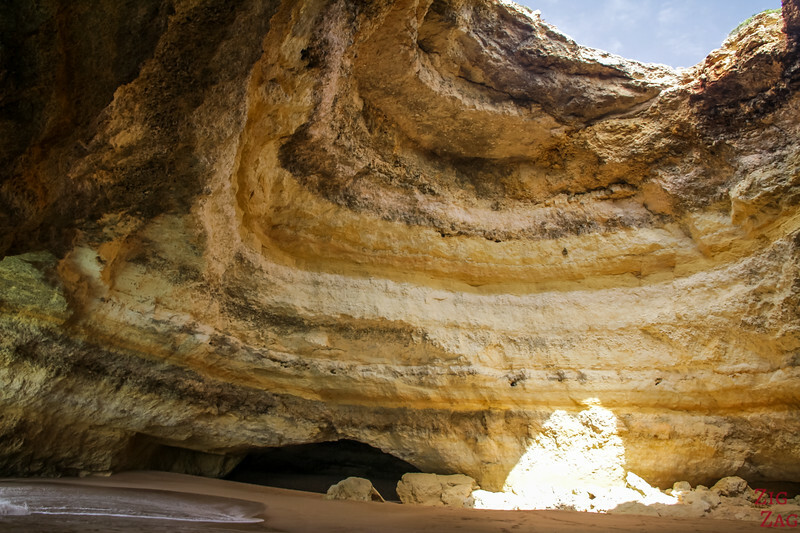 Benagil is a very famous location. 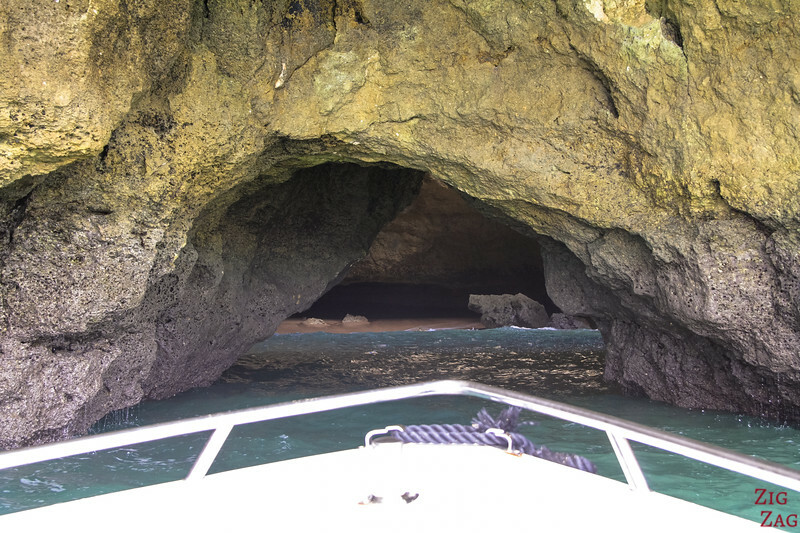 My boat tours include entering the famous sea cave. The dome is very impressive with the different colors of rings and the hole with the blue spot at the top. 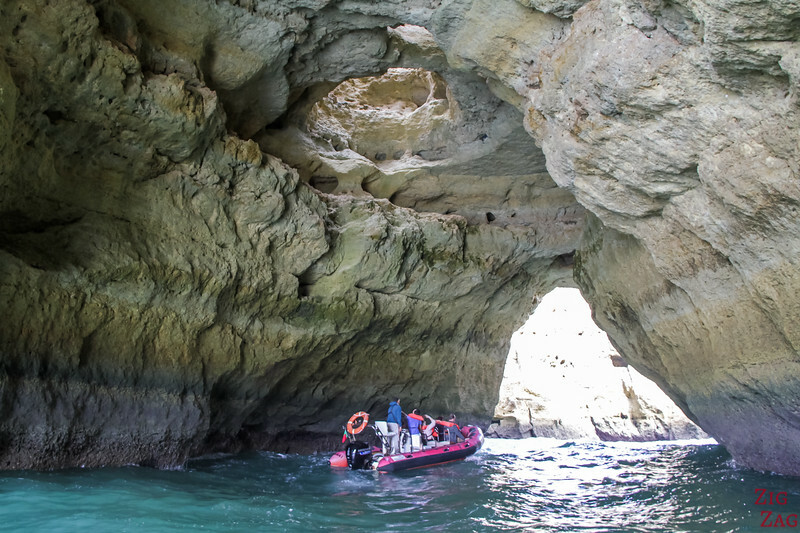 Mid-tide is the better time to enter by boat, as you can get deep enough in the cave. However, there are big waves, so it is not so easy to take pictures. 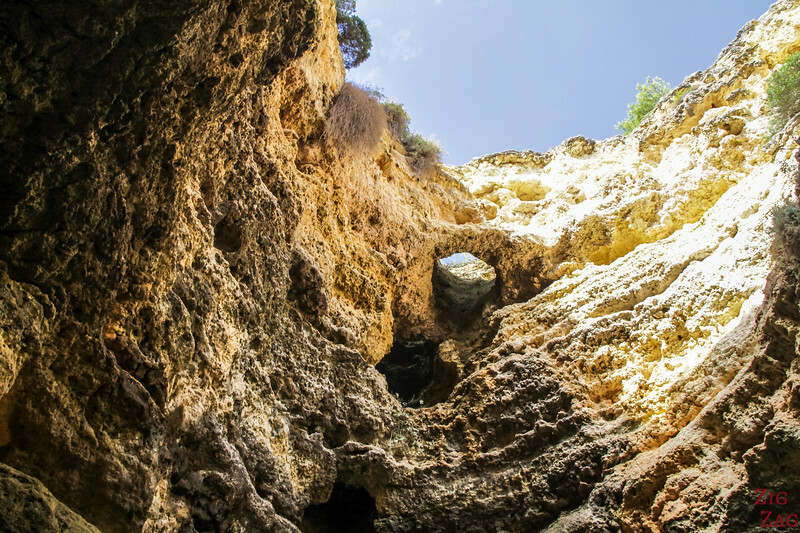 During our Algarve cave tours, we also visited 2 other large caves. The cave that I call The Tunnel had 2 large entrances, one at each side. It was the most accessible one and looked more like a tunnel. I believe the name is Lanchão do Ladrão but I am really not sure. I can't find sources to confirm. 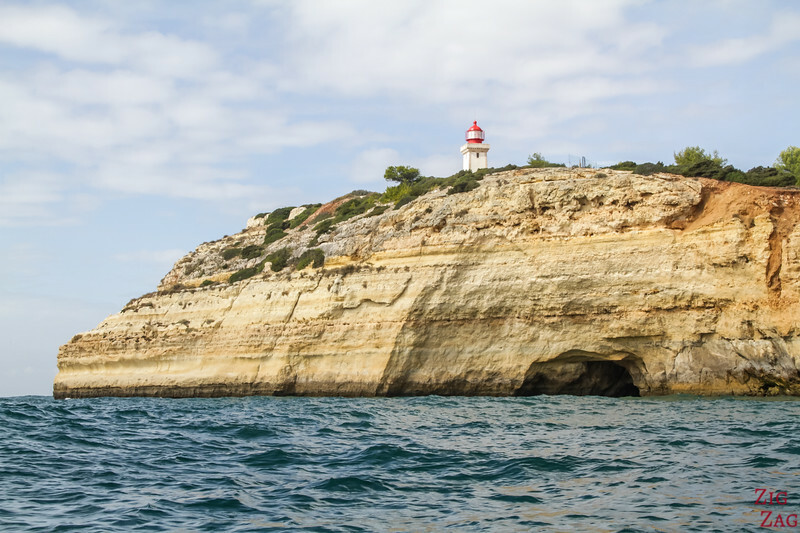 When I discussed with the owner of the boat company before my tour, he told me his favorite cave in Algarve Portugal was the one he called 'Paradise cave' under the Alfanzina lighthouse. You can see the entrance in the pictures below. 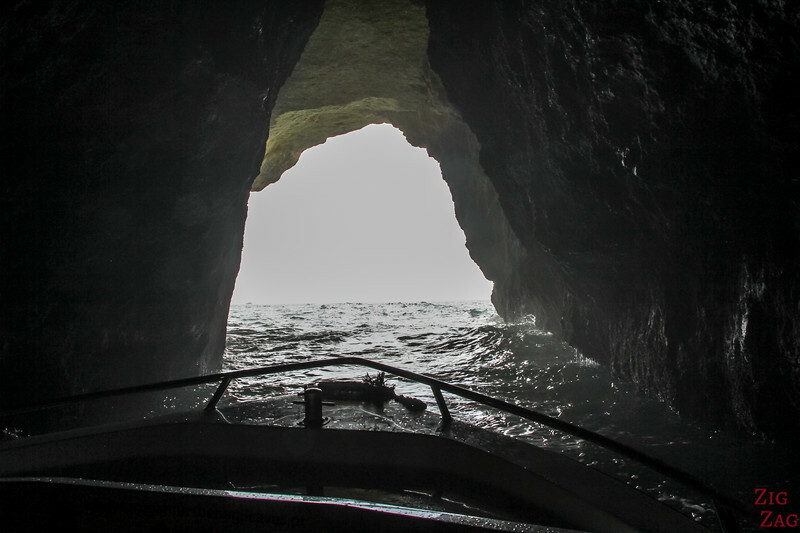 With mid tide, the entrance was not very big, and the pilot had to enter at the right moment considering the waves. Plus, getting out was also exhilarating. 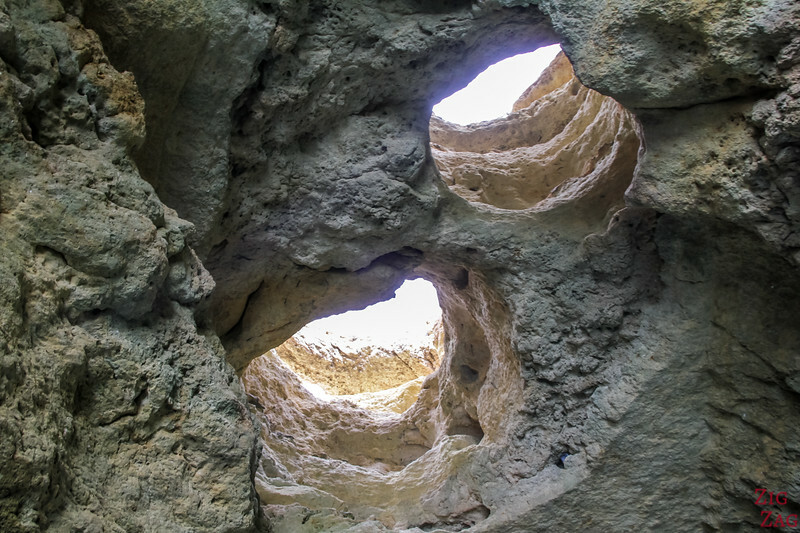 It is a very difficult cave to photograph as it is all in height. You can see it a bit better in the video. 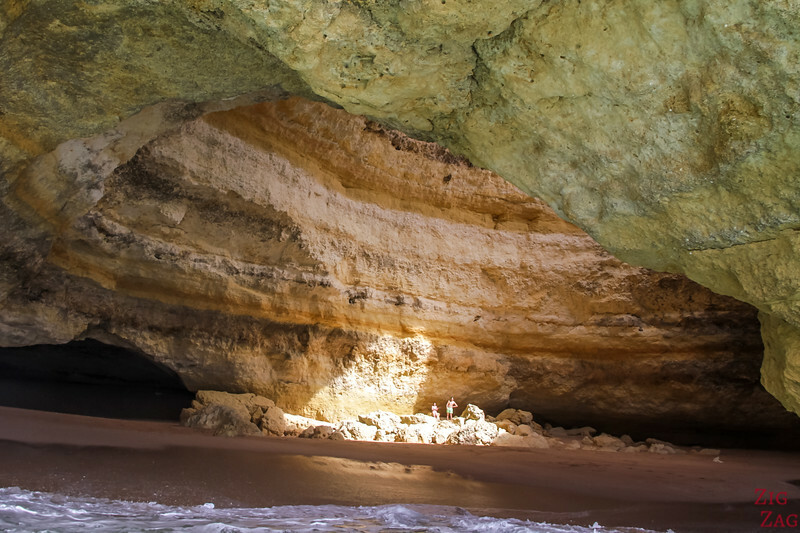 But I think I prefer the Benagil Sea Cave. 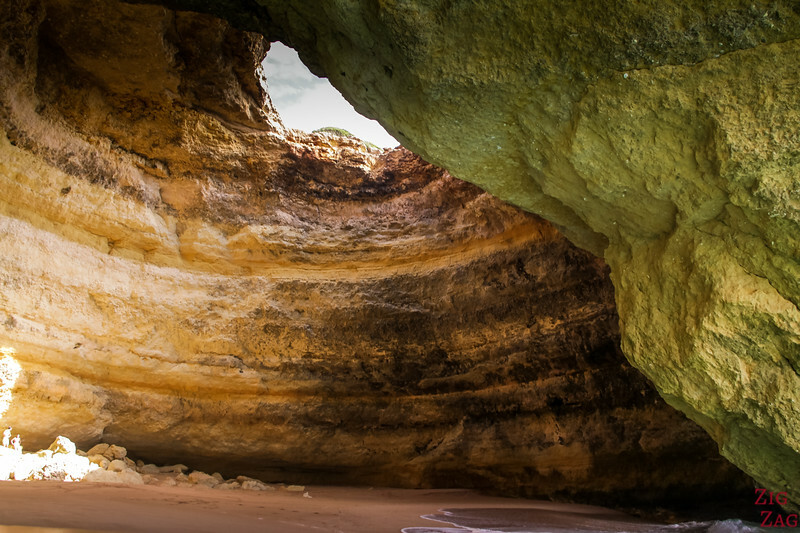 As you can see below on the coastline pictures, there are many many sea caves in Algarve Portugal. It is quite impressive to discover it from the sea. 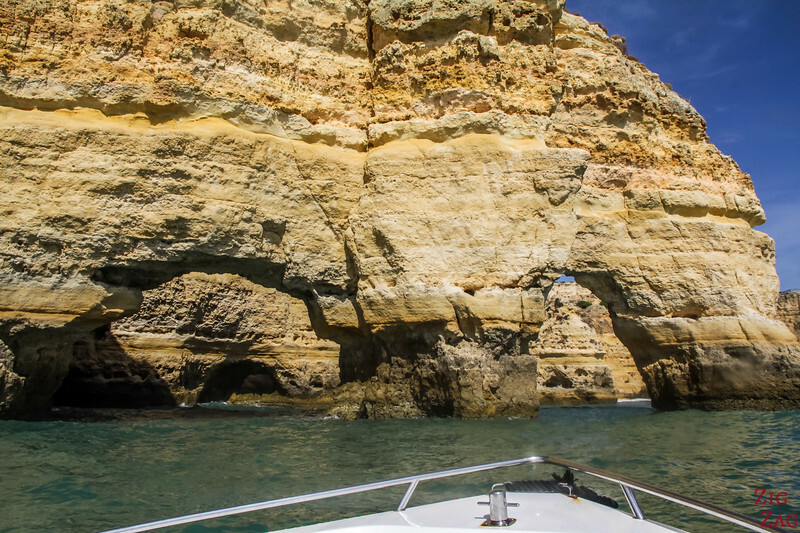 I strongly recommend doing one of the Algarve caves tours by boat to discover the unique coastline! Our pilot also took us inside smaller caves. Sometimes you can't even turn around, you have to reverse. Below are a few examples. 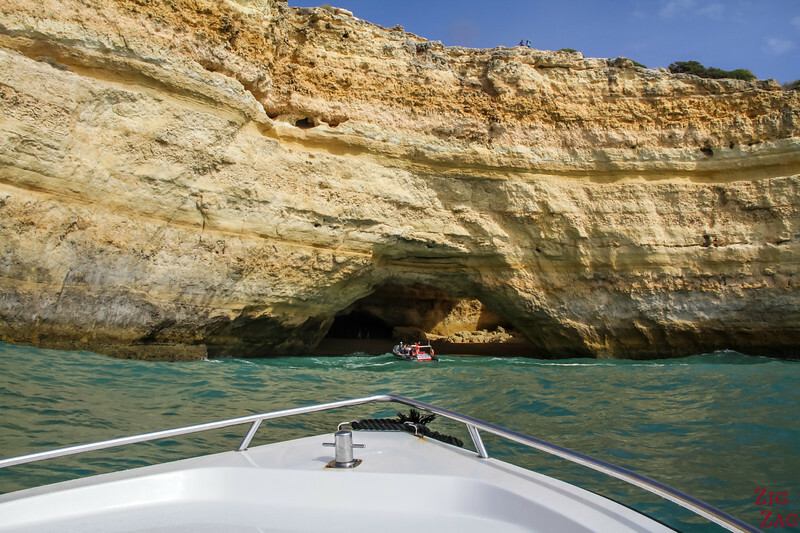 The Boat trips Algarve from Benagil Beach normally take you around to around 20 caves. 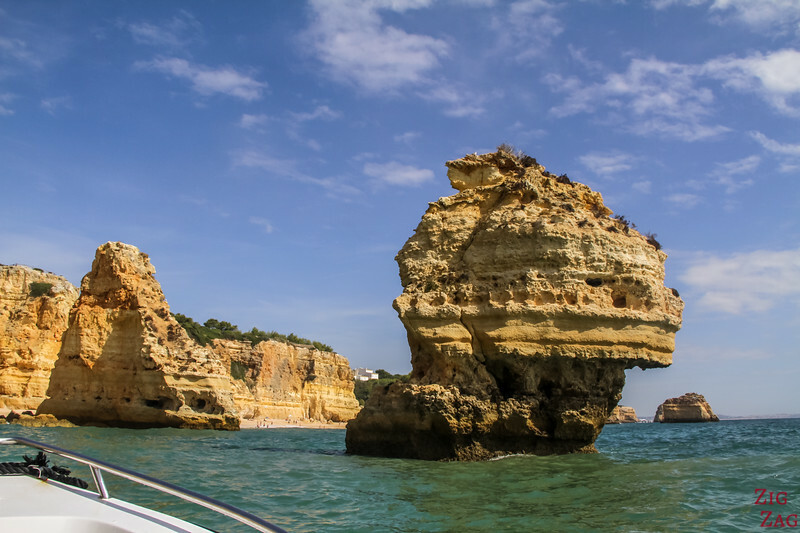 On the Algarve boat trip I did from Benagil beach, they took us all the way to Marinha Beach which is considered one of the most beautiful beaches in Portugal. 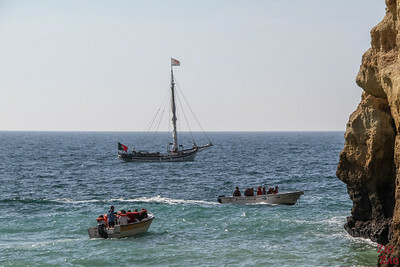 However I wanted the freedom to move in the boat, take pictures and also be able to turn around if it was too much for our sea-sickness - so I contacted them for a private tour. I paid 175€ for the boat and the pilot during 1h. 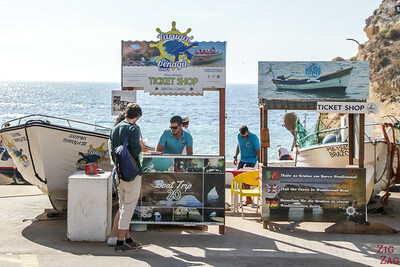 They are quite busy so the departure time can slide slightly but it is fun to watch them turn the boats around for the next groups. Great way to stay fit. Based on that experience, I, and also my parents, do recommend Taruga Benagil Tours. 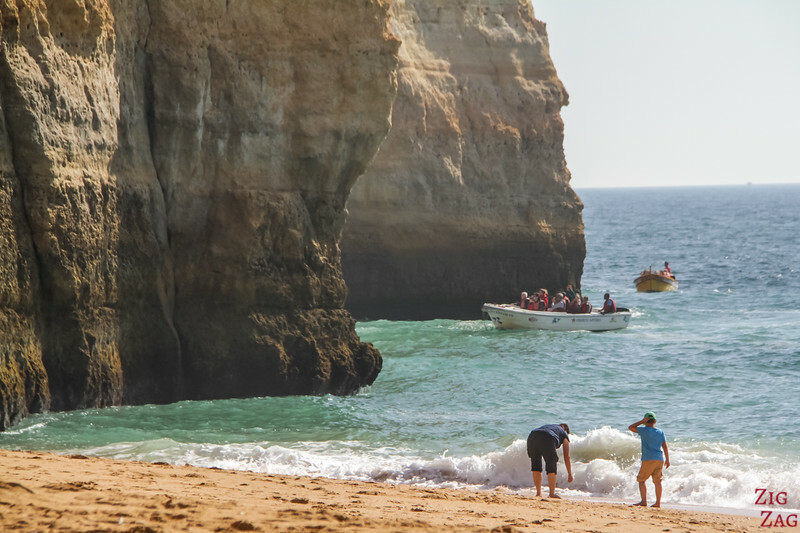 Don't you find the Algarve amazing? 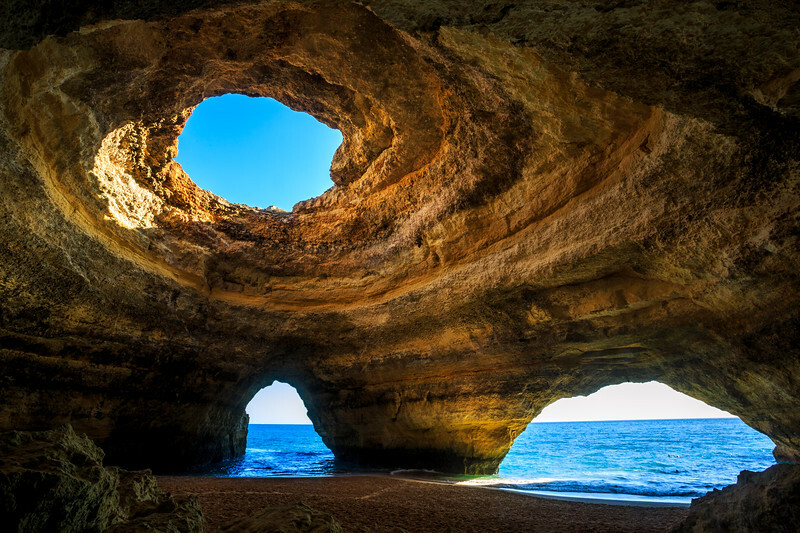 My husband and I are currently in the Algarve and would love to visit the Benegal Cave. We have a car so can just go straight to the beach but how much should we expect to pay for a boat tour if we just show up there? 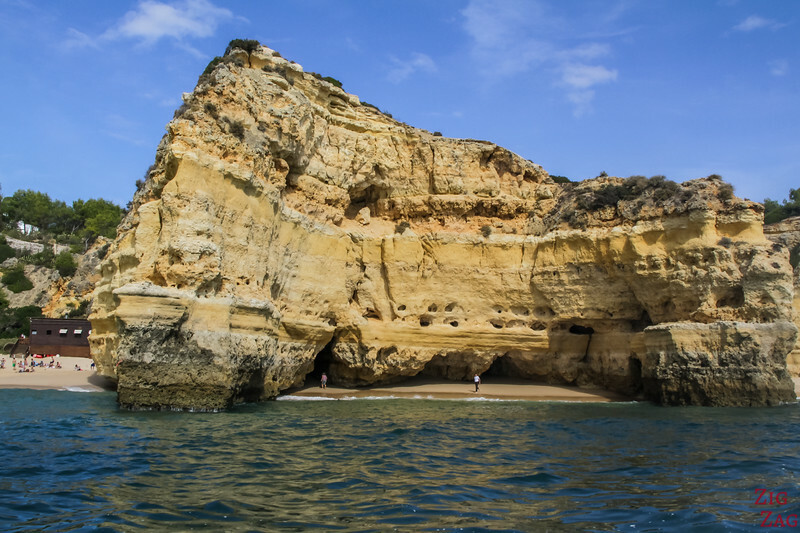 Are there any boat trips from Lagos to the Benagil cave? I think Seabooking.com may do it depending on the date and if there are enough people. Thanks Clair for the Info. 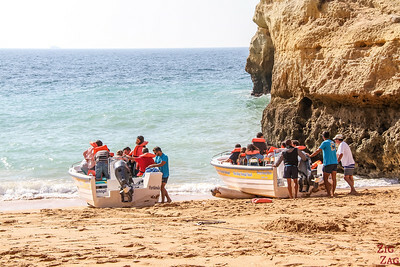 You are right, seabookings does do a boat trip to Benagil but it’s 1:45 mins which I think will not do justice to the visit to the caves. 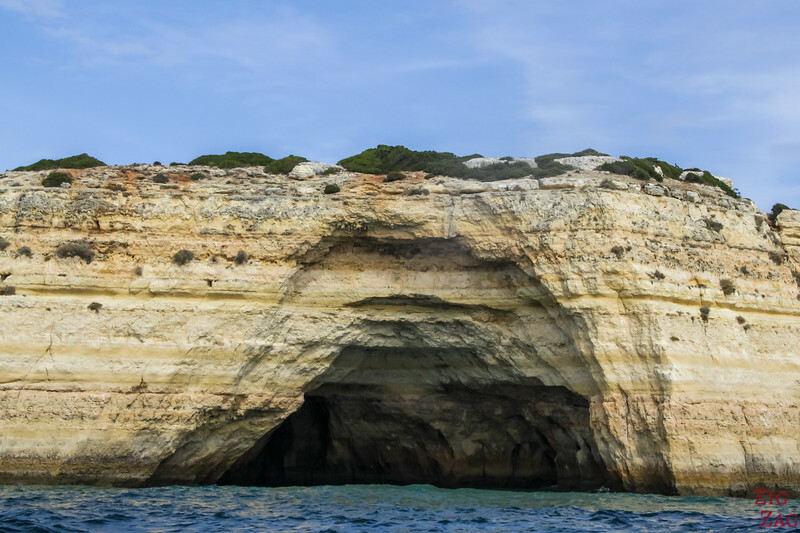 On your blog when I clicked on “boats, programme and price” from Portimao, it led me to getyourguide.com which offers a 2 hr ride to Benagiland other caves. However I can’t see any reviews for them on the web. Any feedback on this company/website? Getyourguide is a booking platform only. I use them whenever I look for a tour. You can see the ratings given by many people who actually took the tour and read their comments on the page.